Melissa is not afraid to mix and match. 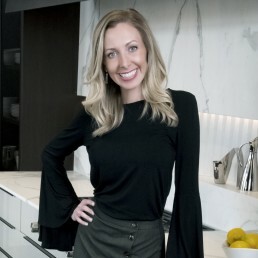 Coming to EKD with a background in design, corporate and political event coordination and promotions, Melissa’s experience has shaped her design style and instilled the importance of function and efficiency, with form to follow. Having traveled extensively, Melissa intuitively draws inspiration from architecture, natural materials, and the unique style of each city she’s visited. Melissa’s love for mixing materials and styles enable her to push the boundaries of traditional combinations to create the unexpected. Melissa has won multiple awards with the National Kitchen and Bath Association, including First Place Medium Sized Kitchen Design in 2017. 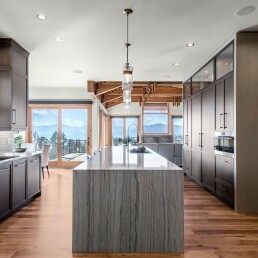 Her Industrial French design was also recently featured in Colorado Homes & Lifestyles “Kitchen Issue” in 2017. With two toddlers, Melissa is certainly kept busy. She and her family can be found traveling to Oklahoma or San Francisco to see family, or cheering on their kiddos in soccer and dance.